Promote the noble art when you send out the Boxing Postcard before your next match. 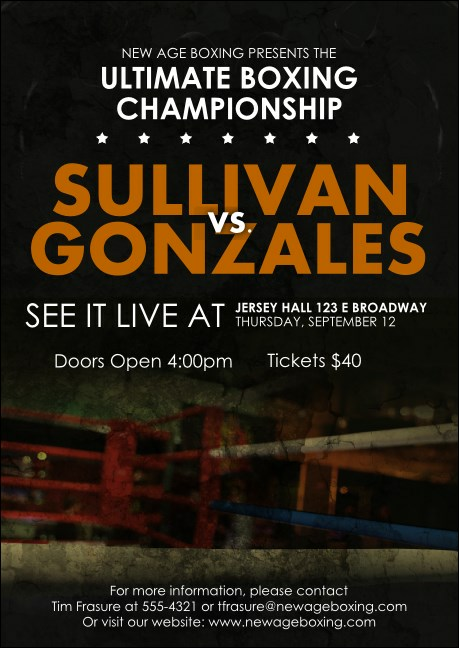 This tough design looks out onto a dark boxing ring, with bright white text standing out over. Need posters, tickets or invitations? Order a Matching Event Kit with coordinating materials! Deliver a blow with the right design from TicketPrinting.com.